Being a Rep - What's Going on with ​tori cathcart photography? ​What is a Senior Rep? - A Senior Rep must be a Senior during the school year for 2016- 2017. They will receive discounts on all their Senior Photography needs including Senior Portraits, Graduation Portraits, Proms, Homecoming, etc. Your mission as a Senior Rep for Tori Cathcart Photography is recruiting and referring your fellow classmates to book their Senior Portraits with me. In return you will be allowed to showcase your portraits as well as offered incentives such as, refer ten or more clients and receive a free mini session. - What’s the catch? There really isn’t one…all you do is book your Senior Portraits or Senior Themed Sessions with me, show all your family and friends the photos and refer them to Tori Cathcart Photography to book their session. ​-Both High School and College Seniors may submit to become a Senior Rep! What do you get for being a Senior Rep? - As many Sessions as you want, includes Travel Sessions around town, on location at any of my location listings, or at a location of your choice (mileage fees might be added depending on location destination). All personal sessions will be discounted starting as low as $30 per session, but you are able to book as many as you want throughout the summer before your Senior Year and throughout your entire Senior Year….Perfect way to cherish all your Senior Memories! - The Senior Rep that refers the most seniors to me (and that books and follows through with their sessions) will receive a PRIZE by the end of the school year! I will keep tally with each Senior Reps and their referred Clients so please make sure they tell me your name so you can be counted towards their session. - For your sessions, feel free to bring extra outfits to play around with to get different shots with different styles and don’t forget to bring objects to help showcase your special hobbies, talents, sporting accomplishments, etc These sessions are meant to be full of fun. So be ready to get creative! -You must have your parent or legal guardian’s permission along with a Model Release Form stating we can use your Senior Portraits as advertisement. If you are a Rep for me, please do not be a Rep for another studio (no double dipping please). As a Rep for Tori Cathcart Photography, you are pinky promising to only promote my studio. Requirements to being a Senior Rep.
- You can’t be camera shy. Senior Reps are perfect for the seniors that love to be in front of the camera….someone who is adventurous and ready to capture some amazing shots! Someone that is able to travel to local areas for their sessions. It does help if the Rep has hobbies inside or outside school and/or is in sports or school clubs (helps personalize your session)….. fill out an application today to see if you have what it takes to be a Senior Rep for 2016-2017. I look forward to reading all the applications! 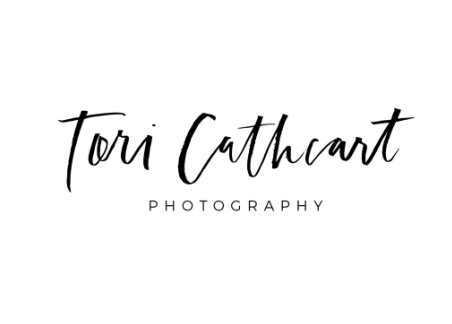 -When promoting Tori Cathcart Photography, all you need to worry about is spreading the word on booking their sessions with our company, you are not required to discuss prices or packages….so no stress on you. Just send them to me and I will go over packages and prices.